Imagine the difficulty of undertaking a portrait project with your own parents as subjects, in which the exercise of critical awareness, and compassion alike, become part of the collaborative enterprise. Imagine the difficulty of undertaking a portrait project with your own parents as subjects, in which the exercise of critical awareness, and compassion alike, become part of the collaborative enterprise. 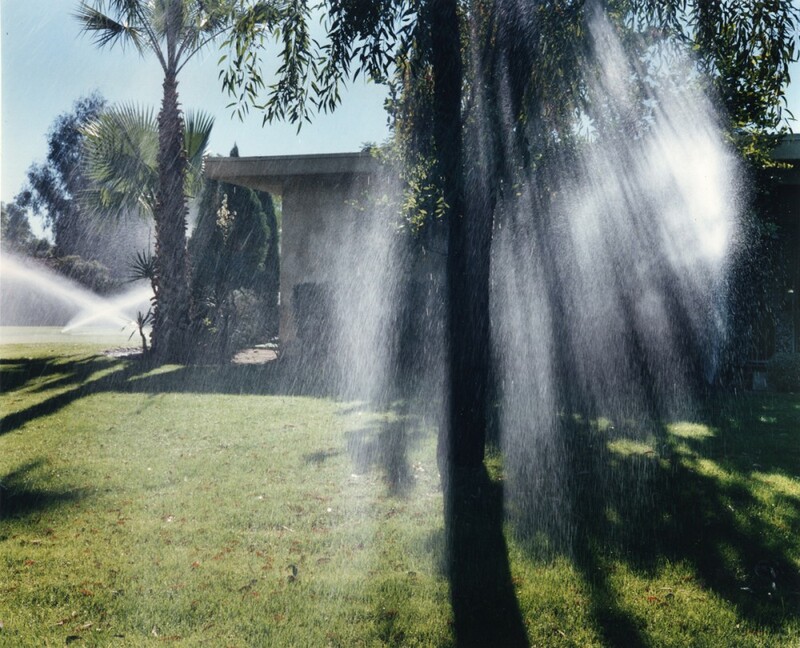 This is precisely what Larry Sultan has undertaken in his remarkable project, “Pictures from Home” (1992). The book is a narrative collage, consisting of still images from old home movies, transcribed interviews and conversations with his parents, historic family snapshots and mementos, combined with writing and photographs by Sultan himself. About halfway through the book on facing pages, are two photographs of his father. One is an altered version of an image from earlier in the book: an appropriated class picture from a Dale Carnegie course, in which his father was a star pupil. Irving Sultan, a young man, is seated front row center, hands clasped, beaming with confidence. Everyone else, beside and behind him, has been inked and scratched out, reduced to black silhouettes. On the facing page is a recent color portrait, by his son. In this picture, the father sits, precisely centered in the frame, on his bed. He has dressed expressly for this photograph, which is meant to echo the earlier image. His pose is the same, and he is wearing a suit. But here, he looks patient and tired. Together the pictures encapsulate an entire career. Sultan describes what motivated him to start this project, which began with pictures of his father. In the context of this statement, the two paired photographs of his father function quite well. In fact, if you take them by themselves, they are a good deal richer and more evocative without the words. Considered by themselves, some of Sultan’s photographs of his parents seem self-sufficient, without a need for textual support. They have the look of small-scale tableaux. In two such images, reproduced overleaf, this is due to the way he has situated the camera, carefully facing a large curtained window in the background, so that the domestic interior becomes a proscenium, and the subject a carefully placed actor on stage. In one, his father, dressed in shorts and a T-shirt, stands on a lawn-green carpet, swinging a golf club. He is accompanied by a talking female head on the television set. In another, his mother, dressed in a pink sweatshirt, cautiously parts the heavy living-room drapes. A brilliant shaft of daylight only partly penetrates the surrounding darkness. 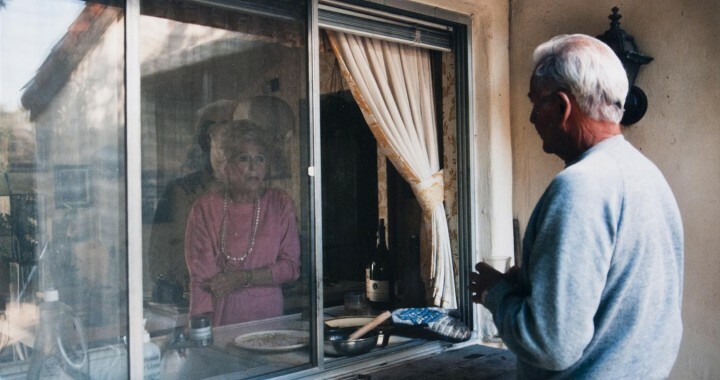 On their own, these photographs function quite well as detached but poignant statements about the comfortable insularity of life in retirement, southern-California style. The text in Pictures from Home recreates the process by means of which the images were made, the ebb and flow between witness and participant in the artist’s own consciousness, the battle between him and his subjects for control. What does follow, in effect, is a rare event: the photographer lets his subjects talk back to him about his work. The self-contained tableau dissolves, and is replaced by the flow of conversation. 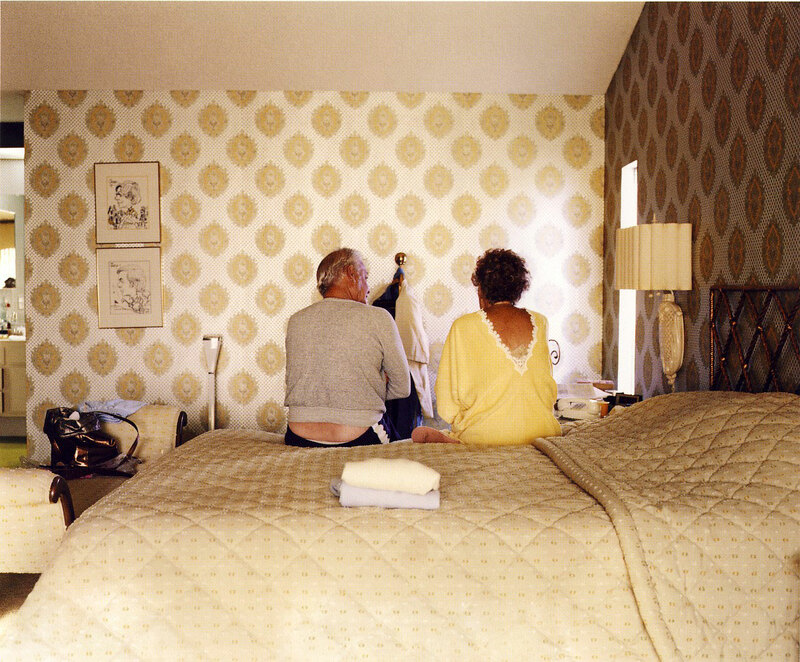 YOU MIGHT ALSO LIKE: Michael Jang: "The Jang's"
Photographs and text by Larry Sultan. 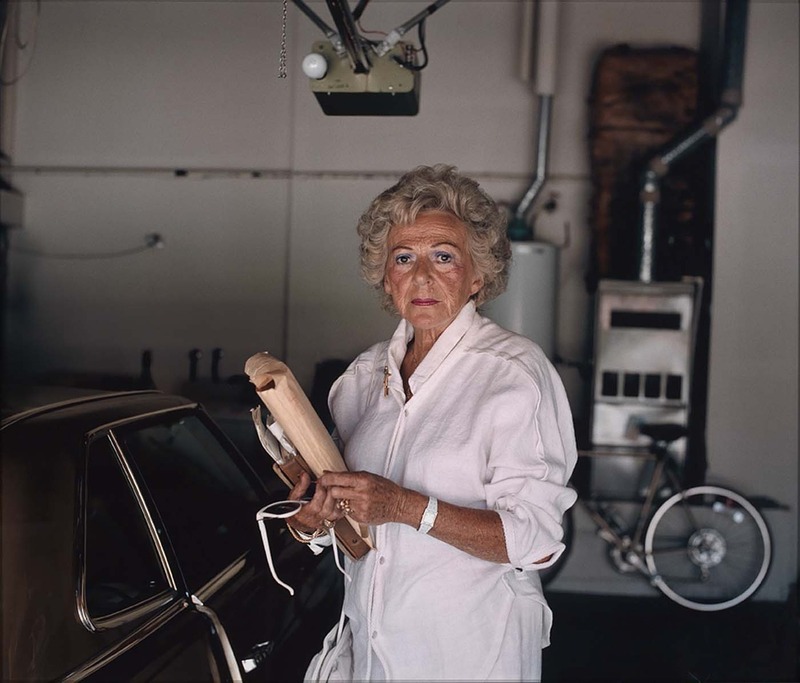 Posted in Documentary, Essays and tagged Book Review, Essay, Larry Sultan, Los Angeles, Photography, Roswell Angier, San Fernando Vallery.